What’s The Deal With Milk Baths? Inspired by my latest post on Mom Self-Care, I wanted to expand on something I’ve gotten quite a few questions about. And that would be….MILK BATHS! This happens to be my favorite at home spa treatment that I think all moms can benefit from – especially at the end of a really rough week! *This post contains affiliate links, however, all opinions are my own. I took my very first milk bath when my youngest son, Jax, was about 2 or 3 months. I had put some pumped breast milk into his bath to treat some dry skin he was having (which works wonders if you didn’t already know). After putting him down for his late evening nap that day, I had the idea to take my own milk bath. I had heard of them before, and I know they’re a huge hit with newborn and maternity photographers, but I had yet to experience it for myself. Plus, I had a 2-month-old tugging at me all day, so it was hard to find time for myself. But I decided to just try it for myself and handed my husband the baby monitor. I knew Jax would sleep for at least an hour, if not two. I mixed up a hot milk bath for myself with some essential oils, and just soaked away in our tub. I could suddenly see why everyone was making a big deal about this easy at-home spa treatment of sorts. When I pulled myself from the tub of water, I patted my skin with a soft towel – it was so soft! Now, I try to take one every 3-4 weeks at least to keep my skin soft and incorporate some much-needed self-care into my routine. Drawing yourself a milk bath at home is very easy to do, and the best part is that you probably already have all of the necessary ingredients in your pantry right now! Because of the moisturizing fats in milk, it may help to calm redness from a sunburn or to reduce some of the dryness and itching caused by skin conditions such as xerosis or eczema. I can say this is quite accurate as I experience softer skin each time I take a milk bath, especially in the harsher winter months here in the Midwest! I can only imagine the wonders a milk bath for eczema would do for those who experience it. Our lactation consultant for Jax was the first one to tell me about adding some of my breast milk to his bath water to tend to his sensitive skin. It truly works wonders for their skin, diaper rashes, and even the sting of a bug bite. 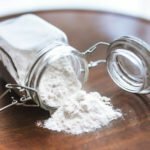 Carefully pour dry ingredients into a large glass container. Secure the lid, and shake to combine. Shake, shake, shake that thang. 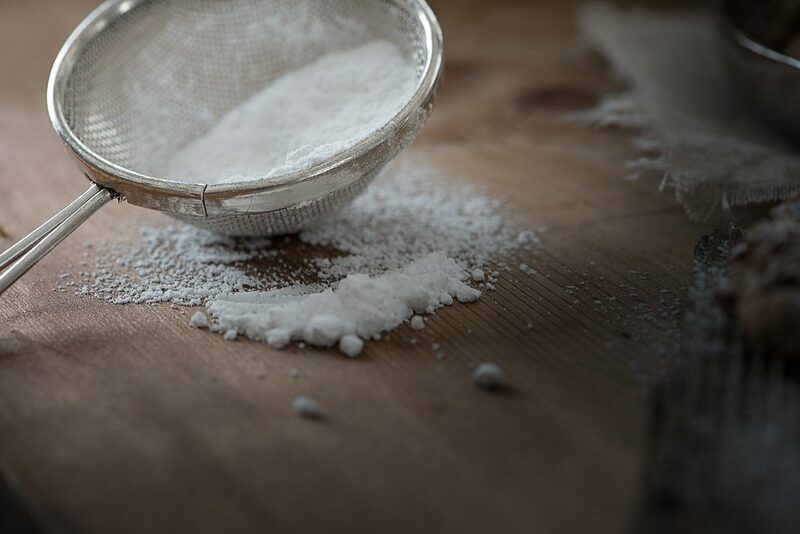 Add 10 drops of essential oils to the freshly mixed powder. Secure lid again, and shake to combine. Allow mixture to sit for 24 hours before using – this allows the ingredients to fully combine. Store in a cool, dry place out of direct sunlight. Pour 1-2 cups of your mixture into the bath under hot running water. Sit back and relax! Milk that contains less fat is not as nourishing to your skin as milk with higher fat content. If you are lactose intolerant, no need to fret! You can still enjoy the milk bath because you are not physically digesting the bath water containing the milk, and therefore you will not experience any digestion problems. If you are vegan, consider using rice, soy, or coconut milk! Whether it’s your skin or baby’s skin that been soaked in milk, once you’re all done relaxing and soaking in the wonders of lactic acid – pat your skin dry with a soft T-shirt or towel. No need to rinse! 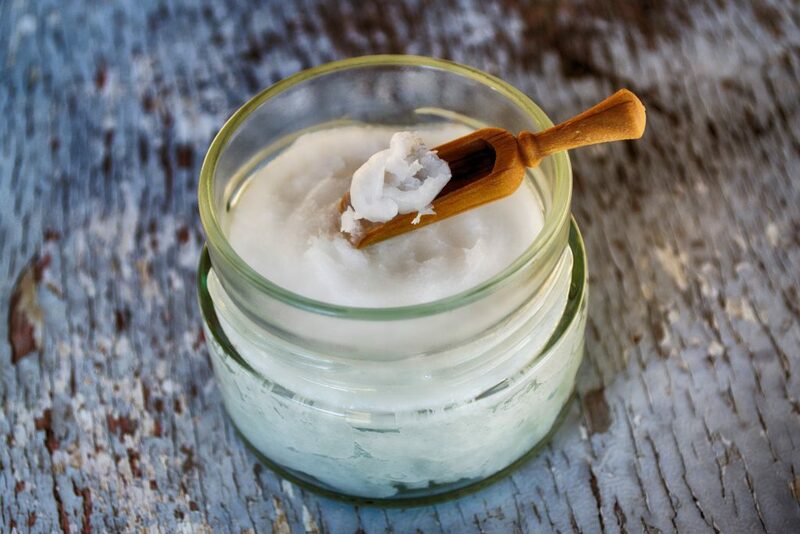 Seal in the moisture from your soak with some organic coconut oil. 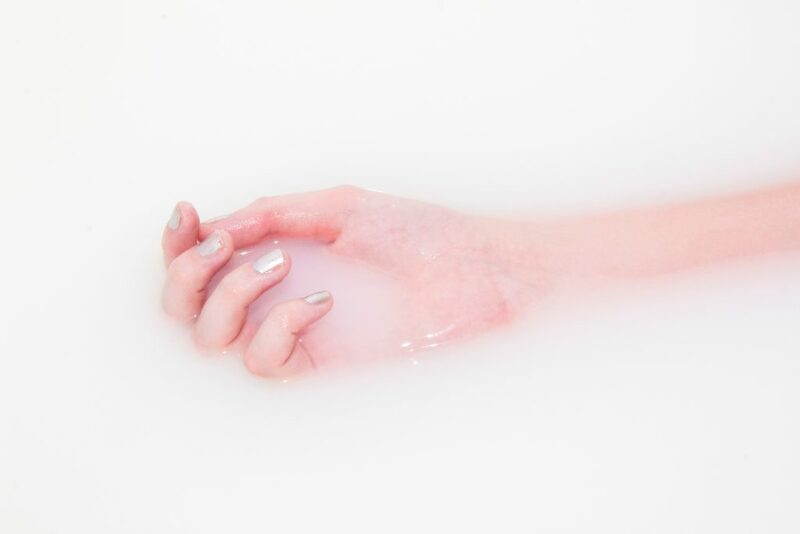 Have you tried a milk bath? Let me know in the comments below – I’d love to hear your experience! 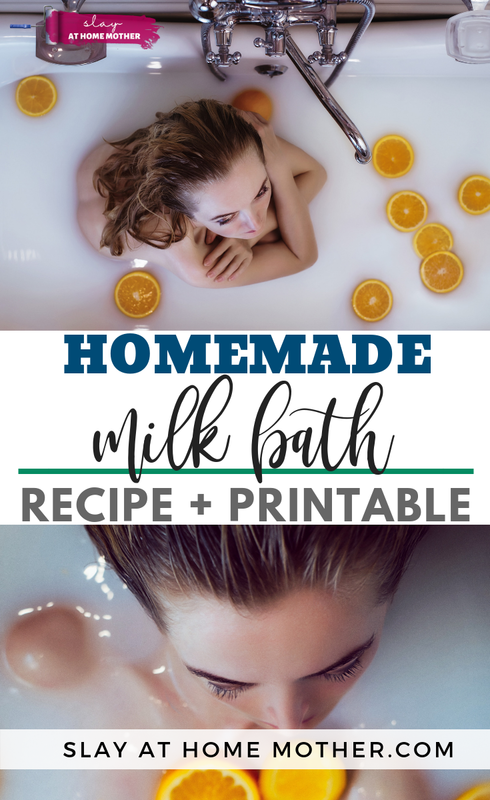 I am excited to try this Homemade Milk bath recipe which is easy to follow up. I’ll try it to my baby boy. Thanks for the Tips. This is great! However, my daughter would just try to drink it so I better do it when she is not around!? Looks so relaxing! 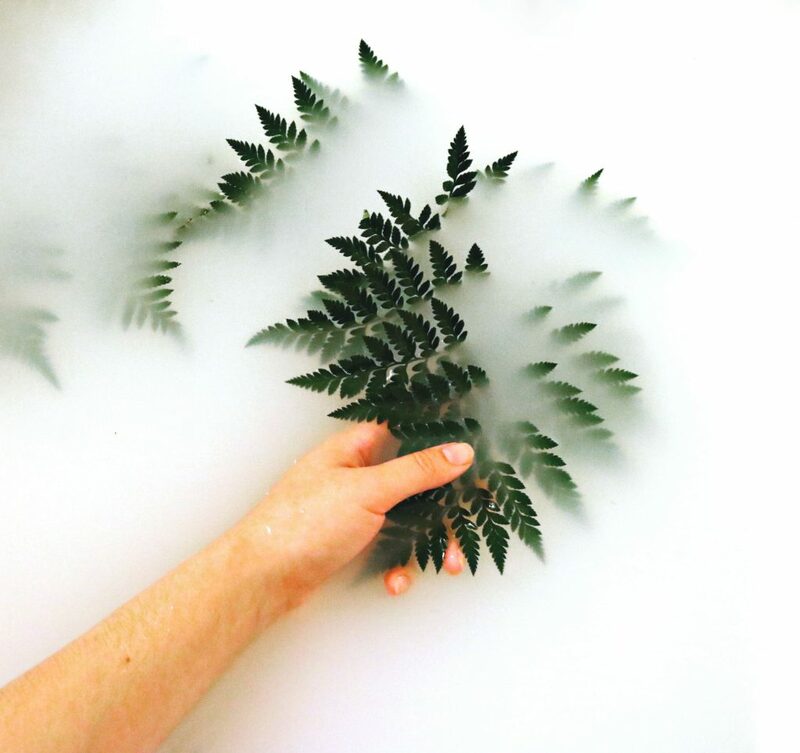 Not only does a milk bath sound amazing, but can those pictures get any more beautiful!? I gave my little ones milk baths when I had extra breastmilk around. It wasn’t that pretty though! I have never heard of this but am def interested in trying it. Nothing relaxes me more then a bath and will be excited to see how it effects my skin afterwards. This sounds so luxurious and relaxing! Will definitely have to give it a try! Never tried this before. Will have to do so soon! I have never heard of milk baths! It sounds so good for your body, I really want to try it! I will admit that I probably only taken 1-2 baths in my entire life and that was when I was running a high fever and took cold baths to bring down the fever. This might motivate me to actually take a relaxing bath! I will definitely be trying this next time I turn on the jacuzzi tube!! I have never tried bathing in milk. I heard this one from one of Cleopatra’s beauty secrets and others can testify the benefits of soaking in milk. Maybe if time permits, I can add this up on my beauty and relaxation routine.? Love this post! I’ve never taken a milk bath but I love the idea! I think I’m gonna try this later this week! What a wonderful way to treat yourself! I’ve always used sea salt or Epson salt baths but have never tried a milk bath! This is super cool. I’m saving this as I really need to relax! I love how milk baths look in pictures! So pretty! I didn’t even know about the other benefits so thanks for sharing that! I’ve seen this all over Instagram with babies, but I never realised as a mom I could also take advantage of milk bath benefits! I’ve never tried a milk bath, but this post definitely makes me want to try one! Thanks so much for all the great info! Thanks for the recipe! I’m making it for my wife and new born daughter. Plus I put together an olive oil salt scrub. It’s my wife’s first day back teaching just after giving birth 3 months ago. Let’s just say there’s some soothing and relaxing required.